Have you ever watched TV with the volume down and the radio on in the background? Some may describe that as crazy, some call it multi-tasking whilst others may sadly say ‘oh we have that all the time at work, everyone talking at once, no one listening, saying one thing and doing another’, creating confusion, misalignment and disconnection, and even at times manifesting as corruption and unethical practice. • the leaders themselves disconnected from their own truth and reality, unable to recognize and ‘be’ who they are in the corporate environment and hence living in a world of reaction, external validation and insecurity affecting both the leader whilst also cascading unbridled throughout the layers of the organization. • the leader disconnected from the people, when the mindset and intention of ‘service before self’ simply doesn’t exist, or if it does it is often manifested as unequal and at times self-serving. • the people disconnected from the organization’s values and aspirations. If there is no reason for a change to occur, and no consequences if the change doesn’t occur, why embrace the change at all? Effective leadership dispels confusion, corruption and disconnection by demonstrating authenticity and building a foundation of trust. It’s about achieving results naturally with processes that serve all equally, with increasing support from those who buy into the dream and taking shared responsibility for outcomes, good and bad. This simply cannot happen without authenticity, trust, internal validation, intuition and even some vulnerability through reflecting honestly on past projects and identifying where any disconnection occurred. It requires a new way of thinking and being. It is a leadership model that rewards new outcomes that serve all, rather than an entitlement mindset. ‘embers of the world’, a new process and leadership model, places reflection and connection at the heart of all that we do. It brings executive leaders to a quiet place where they can see the value of stopping, looking, listening and feeling, allowing intuition to enter decisions, using connection to drive operations, welcoming the change that becomes or evolves, in line with a whole new menu of rewards that corporations of the future will embrace. In the book, Corporate Embers, one of the reflections following a particular scenario asks: When we say no to something, what are we saying yes to? Just as our backbone holds us ‘in alignment’, how can leadership of today be the conduit of new outcomes, whilst in alignment with today’s changing business landscape requirements? My leadership philosophy has developed over the past 20-plus years as an HR professional, entrepreneur and business owner. 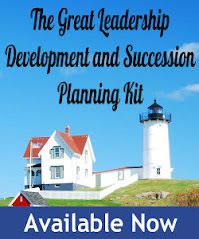 I started my business after years of frustration watching disconnected organizational leadership attempting to effect change without reflecting on lessons from the past or even a vision for how the change should be implemented and how it would serve the greater good. My book came about after I watched the floodwaters of the 2004 tsunami wash away the entire resort I was staying in, all except for my own bungalow. It was a wake-up call, similar to the one corporations around the world are hearing... but will they heed it? Through my professional, educational and volunteer work, it is my mission to reach as many evolved leaders as I can to spread the message that corporations of the future can serve all equally and still prosper both financially and ethically. 1. Reflect - Stop, look, listen and feel what's around you. Take time in your busy day to just breath in your surroundings, gaze out the window and let your subconscious mind enter the foreground. Once you're comfortable doing this, invite your executive team to join you (keep a particular challenge in mind that you wish to resolve). 2. Connect - Recognize what scenarios and solutions naturally present themselves. Welcome them without judgment and without discarding ideas before you vet them with the team, or invite others to share the connections they have made when contemplating on a particular situation. 3. Collaborate - Share openly and honestly any situation that has presented a challenge or needs to change. Tell it as a story with as much detail as possible. Invite discussion, suspend judgment, build trust, and listen to intuition. 4. Innovate - Open dialogue and trust will unblock the flow of new ideas, which leads to freer thinking and alternative, untried solutions. 5. Become - Watch your team become that which the organization needs to be successful, feeling ownership of the outcomes and making decisions that serve all equally while prospering both financially and ethically. Debbie Nicol, author of the 'embers of the world' series, and the new book, Corporate Embers – business-promoting insights for the soul of the corporation, is passionate about change and 'becoming'. Australian by birth, Debbie has been a 'global citizen' for over two decades, drawing much inspiration from the world around. Debbie is the founder and managing director of business en motion, which is based in Dubai, UAE and provides consulting and training services for strategic direction, change management and organizational culture. ‘embers of the world’ is a leadership change model and process created by Debbie and is a product of business en motion. Wow! This is a great article! It completely explains why I left my last job after 3 1/2 years. I grasp all the points described in this article but unfortunately, my boss and owner of the company did not. He was always "elsewhere" and his business is now grinding to a halt. The old addage, "an unoiled wheel eventually falls off" is really true. Hi Jane - isn't connection a great thing when we allow it and work towards it! After all, all change starts with ourselves, and your decision to move on deserves congratulations. The boss will only move forward when the pain of staying where he is currently is stronger than the pain of moving on....perhaps that's what he's facing now. All the best Jane! It's nice to know that there are many of us who believe in the same principles. I have repeatedly espoused effective communication, connection, engagement and ownership to those I assist along the path of corporate planning, capability strengthening and institutional development. Some leaders just refuse to acknowledge that their employees are as valuable as they are in the organization! And those that do are the ones that succeed in attaining their goals.